Passive cooling once involved sticking a small lump of metal onto your CPU. Well, those days are well and truly gone, as this particular heatsink proves. You might be eyeing it up for your media centre, which would be fair enough, it is, after all, utterly silent. That is unless you opt for additional cooling with the clip-on fan (as pictured). 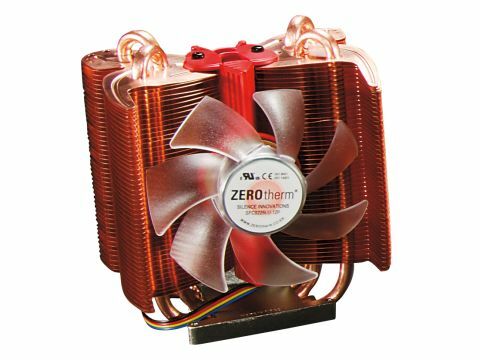 The amount of heat it throws out, and the comparative lack of cooling done to your processor, means you may be hearing the ominous hiss of flaming components sooner rather than later. Under load it reached an astonishing 82ºC. One curious member of our team ended up with a burn on his index finger after touching it. If you must go for passive cooling, at least try a Hush case - they're less damaging on the fingers, and your components may survive a little longer too.